Hi, Nancy Hill for Tutti Designs and Tutti Designs has new dies for birthdays and celebrations. You won't want to miss seeing this new March release by clicking HERE. 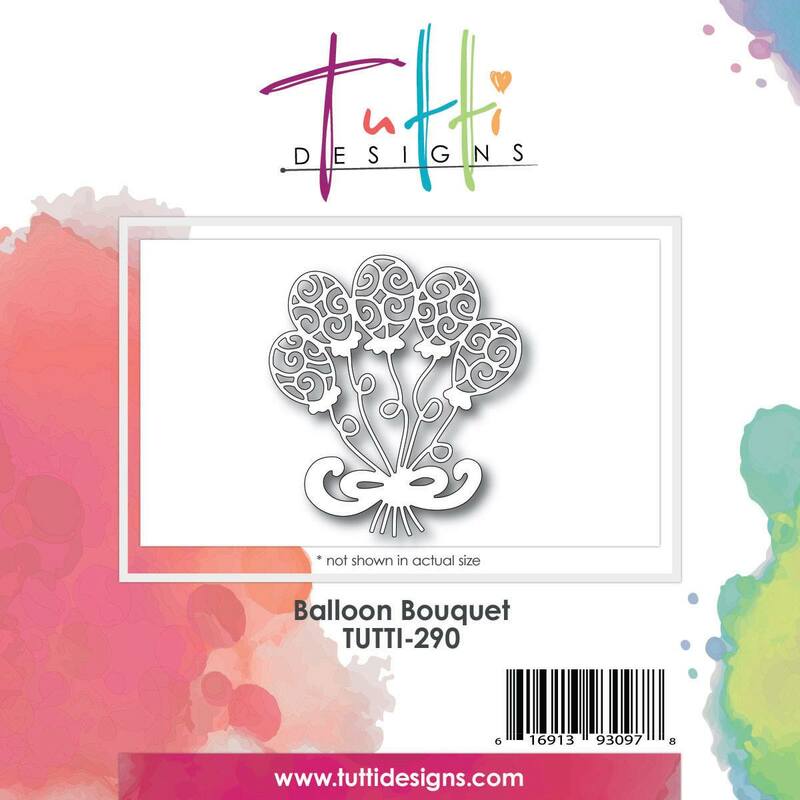 I have the gorgeous Tutti Designs Balloon Bouquet on my card. 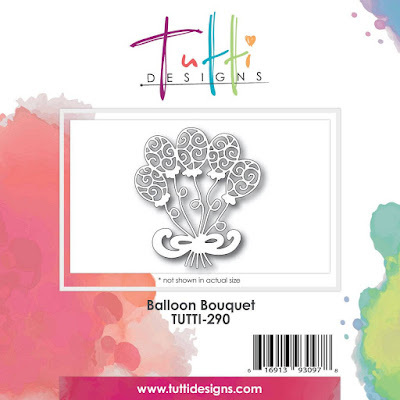 You could use this balloon bouquet for a number of other occasions besides a birthday card. I added a background to the balloons by tracing the die cut on white paper and cutting it out. 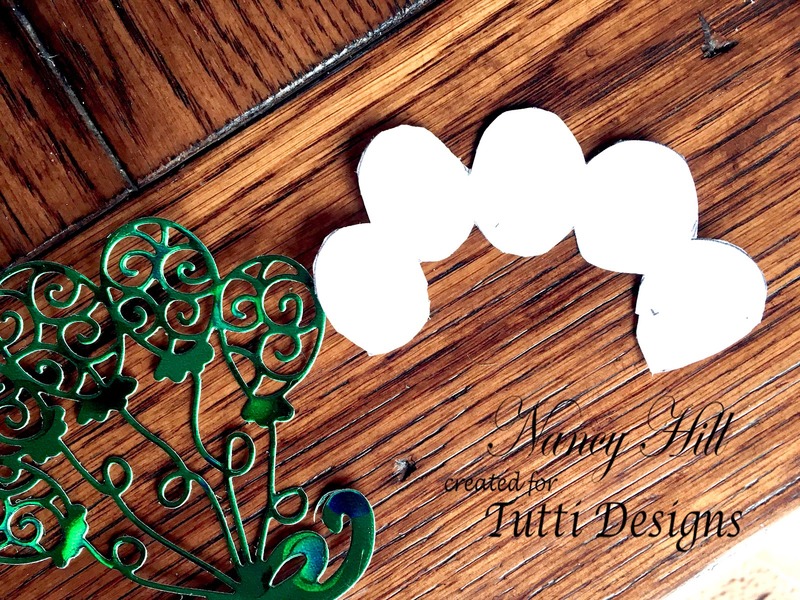 I added glitter to the white balloons before adhering it to the back of the green balloons. 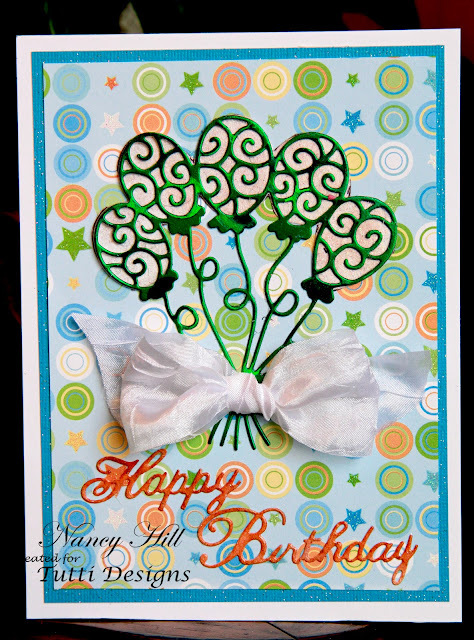 The green balloons were cut out with green holographic paper. I added a 1 1/2" wide bow to the balloons. What a great idea and the shimmer on the balloons is awesome! What a HAPPY HAPPY card! Well done!